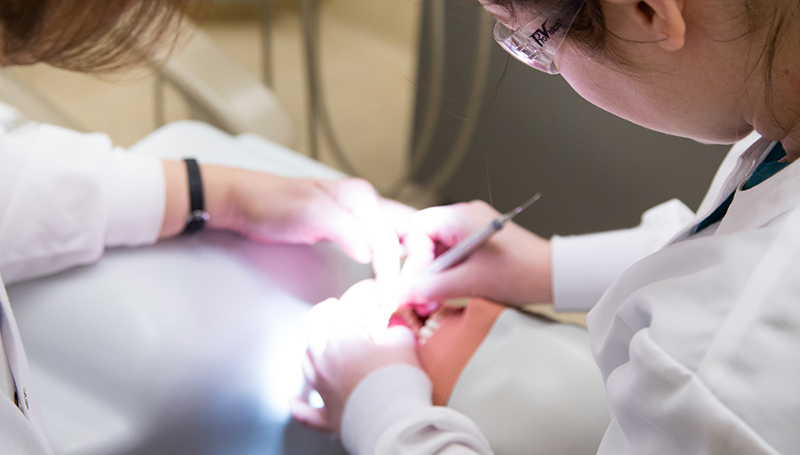 Stacie Scrivner, registered dental hygienist and chair of the department at Missouri Southern, said the program takes pride in preparing students to excel in their field. “We have successful clinical board pass rates of 95 percent, written board pass rates of 92 percent, and job placement of 90 percent,” Scrivner said. Figures from the United States Department of Labor, Bureau of Labor Statistics show that employment of dental hygienists is expected to grow by 19 percent in the next eight years, much faster than the average for all occupations. Missouri Southern State University’s dental hygiene program began in 1975. Since that time, it has been continually accredited by the Commission on Dental Accreditation. Its clinic provides dental cleanings, X-rays and other preventive services to children over age 5, students, people with special needs and senior citizens.